Philanthropy is one of the bridges between Indian Diaspora and India. Even it is the elixir of Indian Americans’ umbilical cords with their roots back in India. Bearing a testimony to the statement are two great philanthropic initiatives which made headlines in the US media by the end of 2016. One is Washington DC based Dr. Frank Islam’s project to fund fellowship for young journalists from India in USA. The other is Dr. Kiran Patel’s plans to build an osteopathic medical school in Tampa, Florida, for poor students from India and Africa. Dr. Kiran Patel is an eminent physician and savvy entrepreneur in Tampa. He is one of the leading philanthropists in America. The Chairman of Freedom Health in Tampa, he recently purchased the 25-acre Clearwater Christian College campus overlooking the Old Tampa Bay in Florida for the osteopathic medical school project. It was a 12-million dollar deal. To be named after him, the medical institute will come up at the west end of the Courtney Campbell Causeway by 2018 or early 2019. The upcoming Dr. Kiran C. Patel College of Osteopathic Medicine in Tampa will admit 100 to 150 domestic and international students from the bottom of economic heaps in USA, India and Africa. It is a bigger picture of his vision and mission to help the economically disadvantaged communities in India. Dr. Kiran Patel is looking to equip the underprivileged students with world-class medical training, which they otherwise find unaffordable, so that they can serve the communities in their home countries. Described as a ‘boom for the city,’ the proposed Dr. Kiran C. Patel College of Osteopathic Medicine in Florida would cost approximately $50 million, a major part of which will be contributed by Dr. Kiran Patel himself. The cost would have been more than 50 million US dollars if there were no classroom infrastructure and dormitories at Clearwater Christian College. Established in 1966, the college shut its doors due to lack of donations, poor enrollment and increased debt. Osteopathy is an alternate medicine to amplify one’s physical wellbeing by relieving the stress of muscular and skeletal systems of the body. More than 20% of medical students in USA become certified osteopathic physicians every year. Since millions of people belong to the working class in India, a whopping number of osteopathy cases are registered there annually. Evidently, the lack of access to osteopathy for the underprivileged working-class people in developing nations has motivated Dr. Kiran Patel to develop an osteopathic medicine school. 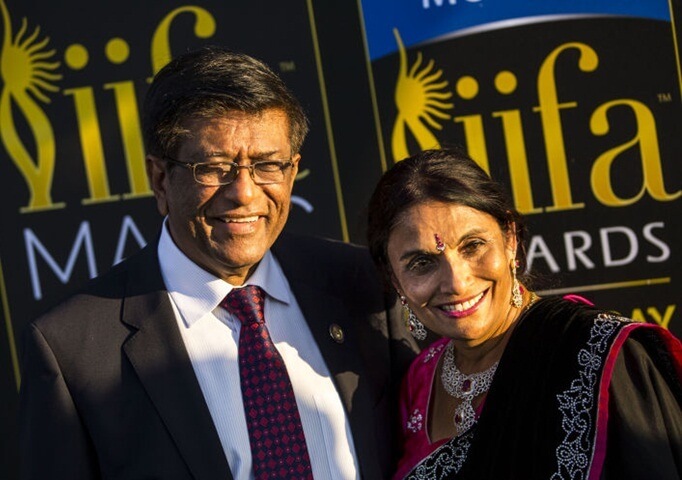 Though he grew up in Zambia, Dr. Kiran Patel pursued his medical studies and got married in India. He along with his family relocated to Tampa in 1982. He has supported many local causes with monetary contributions. He donated $26 million to the University of South Florida and $3 million to Florida Hospital Tampa. He has built hospitals in India and Zambia too. Very Noble cause ! God Bless ! Really and honestly and by heartily appreciate on Dr. Kiran Patel and his scarifies for Poor students. Let GOD bless him and his wish all the success with bright future on his whole projects. God bless you and your family for such a noble and high impact cause. Giving is the most difficult part for human beings. Performing such a selfless act takes courage, pure heart and good soul. Kudos to Drs. Patels. Poor Indian students. There are almost none in USA. The ones from India can’t afford to come to America.